Beside the picturesque Ottauquechee River, between the Woodstock and Killington areas along US Route 4, rests the town of Bridgewater, VT. From the birthplace of the renowned naturalist Zadock Thompson—you’ll be surrounded by snowy peaks, artisan workshops, and a bustling community right outside your front door when you seek real estate in Bridgewater, VT.
Vermont and much of the upper northeast are known for their skiing and lodging, and Bridgewater is no exception. 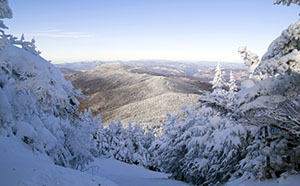 The nearby town of Killington has some of the largest ski areas of the Eastern United States, replete with lush resorts and gorgeous scenery. Take a trip down the slopes or cruise around on a snowmobile as you delight in this icy winter paradise. 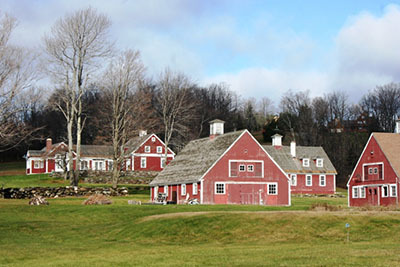 If you’re not a fan of winter sports, Bridgewater, VT, offers some of the most unique artisan workshops in the region. Charles Shackleton provides Vermont with some of the best, most beautiful handmade furniture around. Other artists, including Shackleton Thomas, offer one-of-a-kind ceramics, pottery, and other décor pieces to make your new house in VT feel like home. Furthermore, Bridgewater’s Ramunto’s Brick & Brew Pizza is a mainstay here, catching the ski crowd and locals day and night. The Bridgewater Mill Mall, at the heart of the town, is another noteworthy site as the 19th-century structure still bustles with business. Buying real estate in Bridgewater, VT brings you close to the natural beauty of Killington, the surrounding hills, the convenience of Woodstock, and Bridgewater’s artistic center. To view available properties, contact Bassette Real Estate Group at 802-457-2244 today.